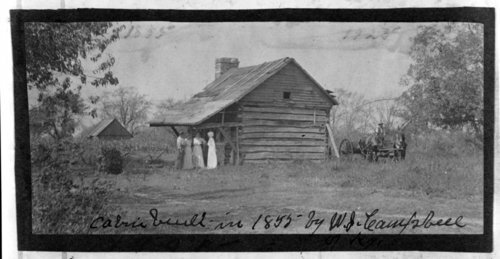 Here are several photographs showing a log cabin built by W.J. Campbell in 1855 near Humboldt, Kansas. One image has some detail about Campbell and the wife to be for whom he was building the cabin. Two of the images show the cabin in disrepair.